Land, development and displacement has once again become the central point of debate in India. Curiously the debate is on industrial development ostensibly, under capitalism. Suddenly it has dawned upon the learned Prime Minister Manmohan Singh and his policy experts that land and agriculture cannot be the main basis for the economy of a country like India that is marching ahead in the 21st century. Round Table India spoke to writer and political activist Sudhir Dhawale in Mumbai last week, after his release from a long term spent in prison due to false charges of being involved in Naxal activities. 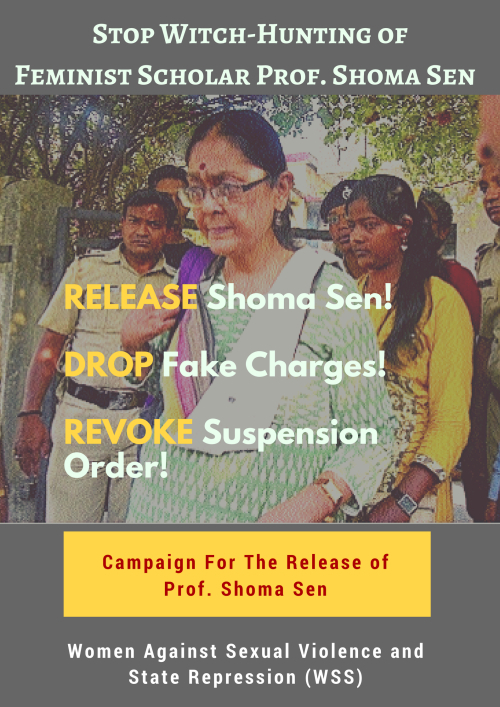 Arrested in January 2011, he was acquitted last week by Gondia’s sessions court after the police failed to produce substantial evidence against him. In a statement issued on April 16 2018, the Ministry of Home Aﬀairs (MHA) claimed that the ‘National Policy and Action Plan’ to combat Left Wing Extremism (LWE) is ‘a multi-pronged strategy involving security and development related measures’. This new policy, apparently in place since the NDA government came to power at the centre, claims to have ‘zero tolerance towards violence coupled with a big push to developmental activities so that beneﬁts of development reached the poor and vulnerable in the aﬀected areas’. The UAPA evolved over the years by a gradual but steady constriction of Article 19, which guarantees the fundamental freedoms of expression and assembly. A complete repeal is the only way forward.